What kind of turquoise is in this Nickel Silver Bell Pendant? I have a pendant stamped with Nickel Silver and the Bell emblem. What I’m wondering about is the turquoise that is in it. 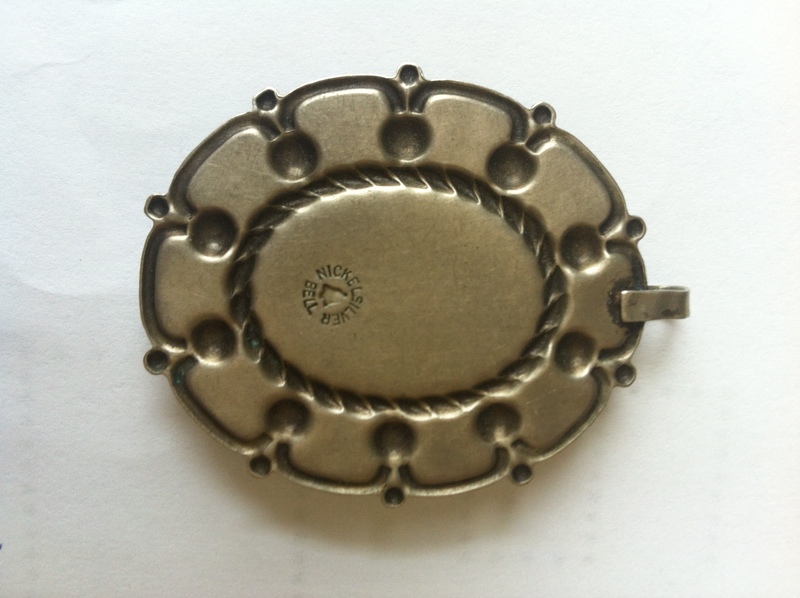 It has a large flat oval piece in the center which is surrounded by 10 round pieces. The pendant is about 2″ in size. I’ve read your list of types of turquoise to try to identify it. It has no veining in it at all, and is a very clear, consistent color of turquoise. In fact, it really doesn’t look like real turquoise at all to me. How can I tell what it is? Taking into consideration the color and consistency and that this is a Nickel pendant, I’d say this is imitation turquoise. 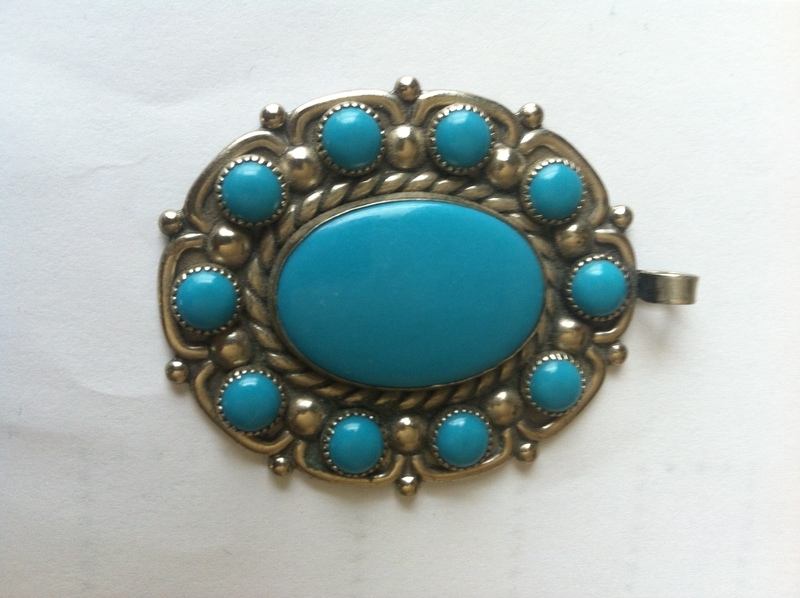 Here is a nickel bracelet with faux turquoise in our pawn shop for your reference. This entry was posted in Authenticity, faux, imitation, Materials, Nickel, Turquoise and tagged bell trading, faux turquoise, nickel, nickel silver by Native American Jewelry Tips. Bookmark the permalink.